Winning against the spread isn’t only about finding those teams that are dominant against the spread. Sometimes, it’s more beneficial to find those teams atrocious against the spread and bet against them. Auburn has fit that mold consistently since playing in the national championship during the 2013 season. Since that title game, the Tigers have been 8-18 against the spread, the second-worst mark by any power-five conference team in the nation. Much of that blame should be directed at the betting public and college football experts. During the previous two seasons, everybody has kept the belief that Auburn would be a dynamic change engine in college football, beating teams by so many points that no spread was safe. That thought process has been a boon to anyone betting against Auburn in the last two seasons. But thanks to those expectations taking a hit during the last season, I’m back on the Auburn bandwagon. With experts and the betting public tempering those expectations, it’s time to start looking at the Tigers again. Here’s another team to watch out for that was so bad ATS last season that they were actually solid teams to search out on a weekly basis to bet against. Oregon State hasn’t been very good in recent years. A 6-18 record against the spread in the last two years will generally welcome bettors in for the wrong reasons. The Beavers aren’t even that close to covering, either. They’re losing by an average of 7.5 points per game against the spread. Oddsmakers have valued Oregon State much higher than necessary, especially as the Beavers have adjusted to a new coaching staff. But that staff is in its second year and after a rough year last season after the sudden departure of Mike Riley, Oregon State should be improved. I’m not worried about returning only 10 starters. A better quarterback situation should make the Beavers far more competitive, along with solid recruits that have made their way to Corvallis. 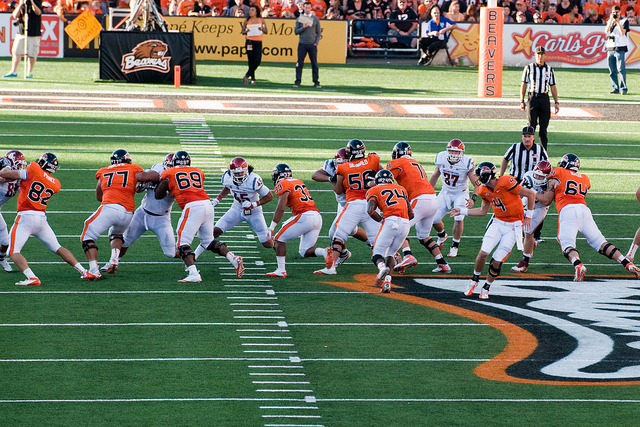 Oddsmakers and the betting public are fading the Beavers in heavy fashion. Year 2 for Anderson should be much different, so take the opposite approach with the Beavers. Nice call on the Beavers. They covered the spread week 1.